Push back the furniture, roll up the rugs, and get ready for some dancing in this week’s DARK VAULT OF PUBLIC DOMAIN. Join UNCLE PETE as he heads down into one of the DARK VAULT RECORD VAULTS and peruses the stacks of wax for a little Dark Vault party. It’s UNCLE PETE’S VIDEO MUSIC PICKS featuring a whole casket full of boppin’ tunes to get your feet movin’! It’s famous folks and some not so famous folks in music videos not seen together anywhere outside the Dark Vault. Then it’s over to the Dark Vault Bomb Shelter for an episode of the rarely seen Boris Karloff television show The Veil. Plus, as an extra special feature, it’s the television world premier of the Pestilence Production – Cake Eaters! 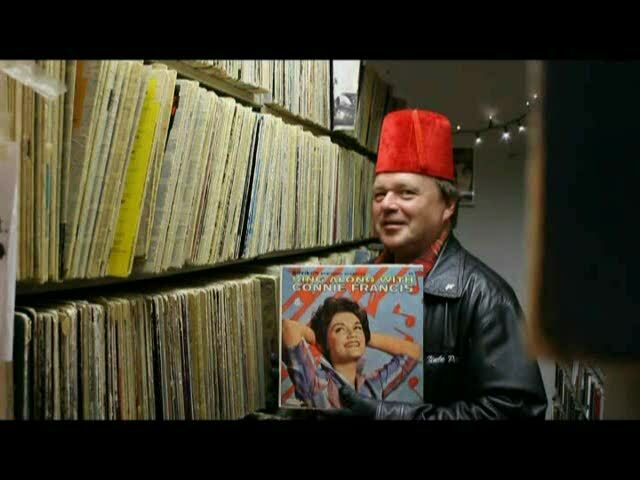 So kick off your long weekend observed with UNCLE PETE, Saturday, May 24, 2013 on channel 4 from 10PM until midnight. It’s UNCLE PETE”S VIDEO MUSIC PICKS, an episode of The Veil, and a world premier short film, Cake Eaters. It’s a brand new episode this week on THE DARK VAULT OF PUBLIC DOMAIN! ~ by UNCLE PETE on May 24, 2013.